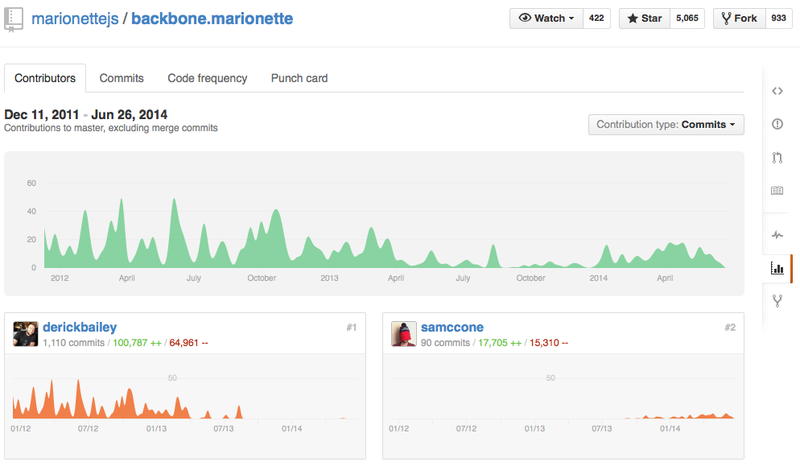 For Backbone, I needed to include Marionette as well since I assume most people are not using just Backbone. 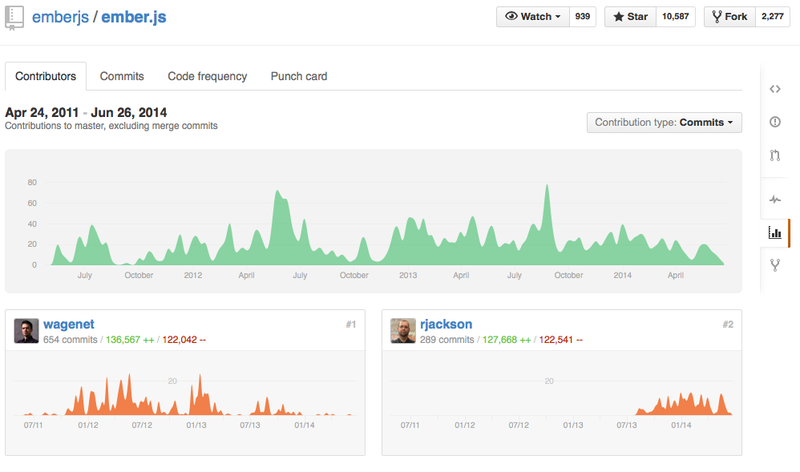 As people love to point out, these metrics don't conclusively indicate anything. 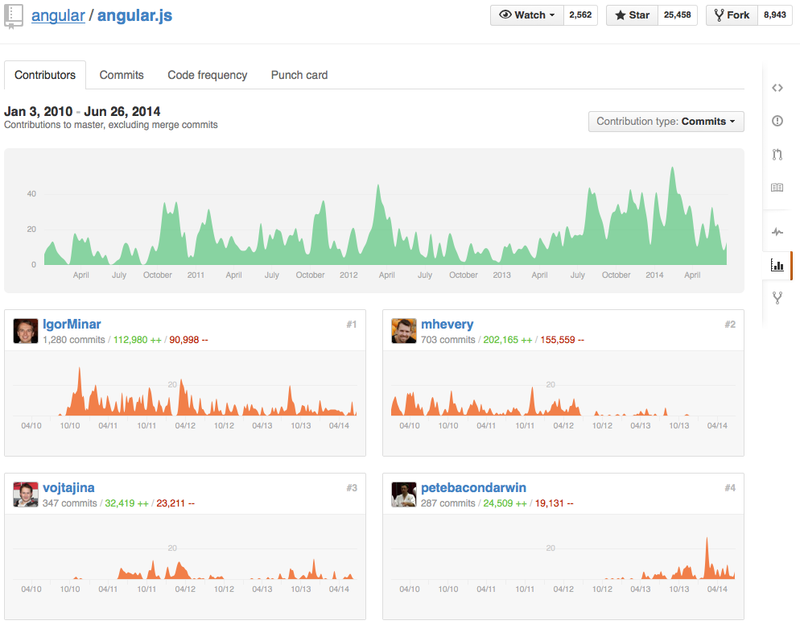 However if you ask me, it seems like Backbone is losing momentum while Ember & Angular are going strong. 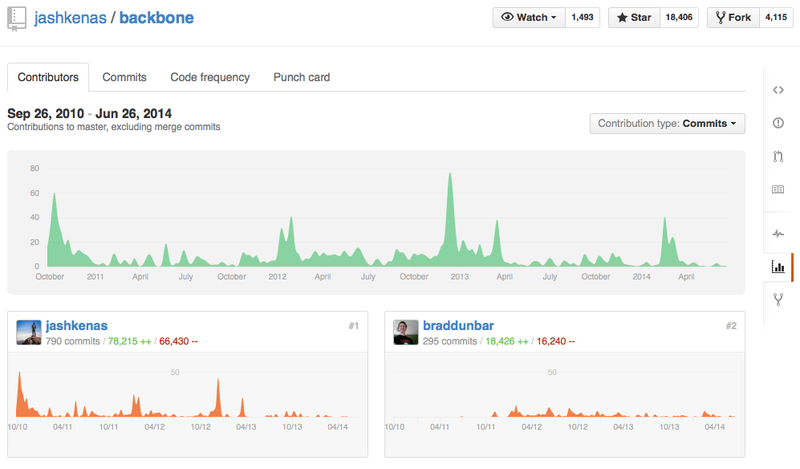 It seems Backbone has reached maturity (at least in the eyes of the maintainers) and isn't getting lots of new contribution. Now I don't think Backbone is going anywhere but if I were to choose something that I want to be using two years from now, I think Ember and Angular have a much better chance of still being relevant. That said, the awesome folks at &yet; just released ampersand.js along with a companion book. Ampersand looks like a great "reboot" of backbone and my initial impression is that it corrects a lot of the things I felt were annoying with backbone. Cache debugging: Page was rendered Apr 21, 05:12:38.